I work at the Care Quality Commission (CQC) as a Digital Portfolio Planner in our Digital Portfolio Management Team and support the business by tracking and assessing the progress of projects and programmes. Our portfolio has over 30 live projects ranging from work to improve the user experience for external users of our services and for staff using internal systems and technologies, through to projects looking at how we host our technologies and services. We’re also going through a digital transformation and are part way through changing the way we manage our change portfolio. We have been in discussion with the Department of Health and Social Care for several months to agree how we trial a new approach to managing spend controls. Spend controls looms large on the critical path of most, if not all, digital projects. In CQC we’re looking to overcome some of the barriers to gaining approval and recently held the first of what will hopefully be a series of pipeline self-assessment workshops. Although still in its formative stages, pipeline assurance is a means by which CQC will review and assess the performance of its programmes of work and will ultimately provide an assessment rating. The ratings will either be Assured, Monitor or Control and depending on this outcome it will determine the level of scrutiny required to fund programmes and projects. We recently held our first self-assessment of a project that will be going through the pipeline process. 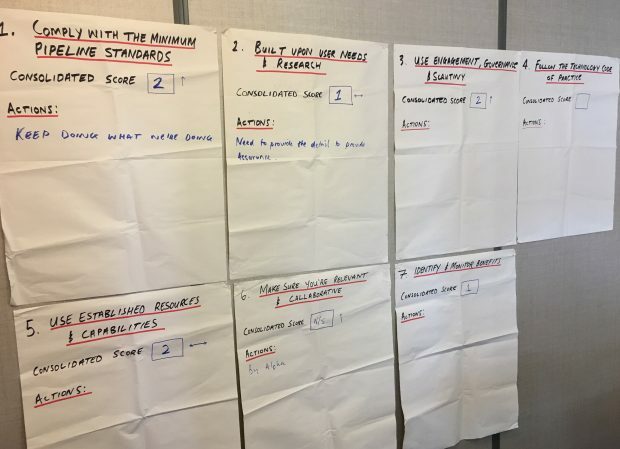 The workshop was attended by representatives of the programme being assessed, members of the CQC Digital Senior Leadership Team and colleagues from the Digital Portfolio team who have oversight of the existing internal governance processes. Ben Showers from the Department for Health and Social Care also attended and was interested in both how the workshop would be run and to gain confidence in CQC’s ability to self-assess. 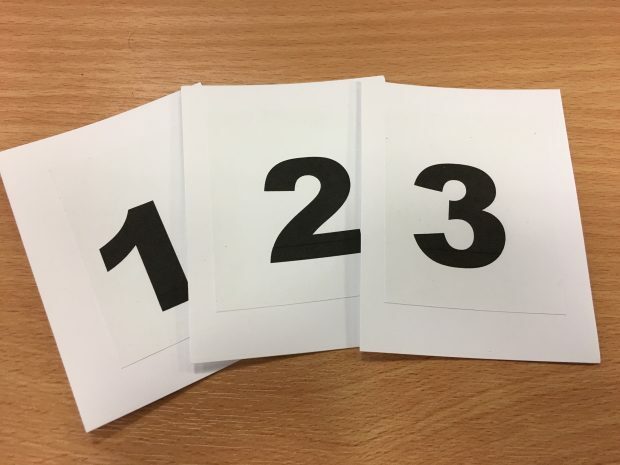 Each member of the workshop was asked to provide their own rating using numbered cards. They rated the programme against the criteria and providing either a 1, 2 or 3 with 3 as highest confidence. Where discrepancies existed between individual scores, the group were offered the opportunity to discuss this in order to reach a consensus. We did this for each of the criteria until an overall rating could be determined. The group also thought it would be useful to apply a rating, as well as the current perceived direction of travel, where issues had been identified and actions were in place to resolve them. The programme we assessed was coming to the end of a discovery phase so in some cases the criteria felt unclear or irrelevant. For example, the criteria around the Technology Code of Practice did not apply as no decisions had been made around what technology was being used. We adapted the criteria or did not include them to make sure the ratings applied during the self-assessment felt right and the programme had been assessed using relevant indicators. The criteria were displayed on the wall throughout the discussion and the consolidated scores and any actions were captured. The participants deemed the workshop to be a success because everyone was able to contribute and the approach was fairly conversational as opposed to feeling like an assessment. The scores and actions were then circulated for the programme team to agree ahead of the next assessment. The team at the Department for Health and Social Care will externally moderate the assessment, at which point the programme will receive the necessary approval to continue. CQC will continue to engage with the department's team delivering the pipeline to help us self-assess our prioritised programmes of work. We will be review which programmes require assessment and hope to adopt this approach where appropriate across all of our programmes.